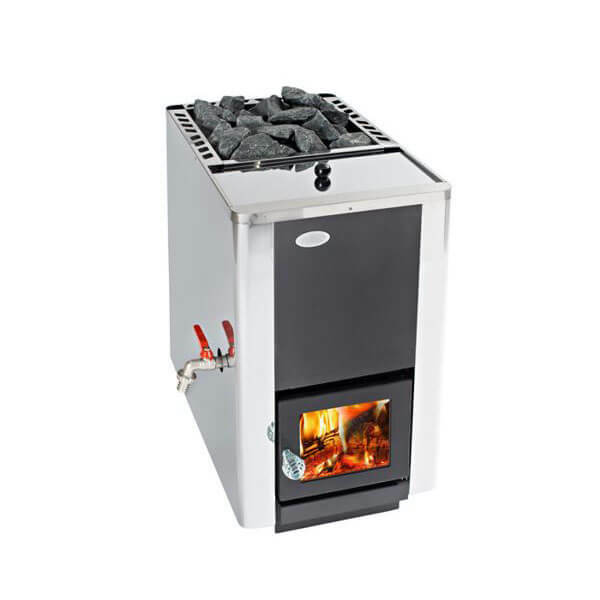 Similar to basic 16 heater but with built-in water tank. Front mount water tank with right or left spigot selection. For saunas 212 to 425 cu. ft.